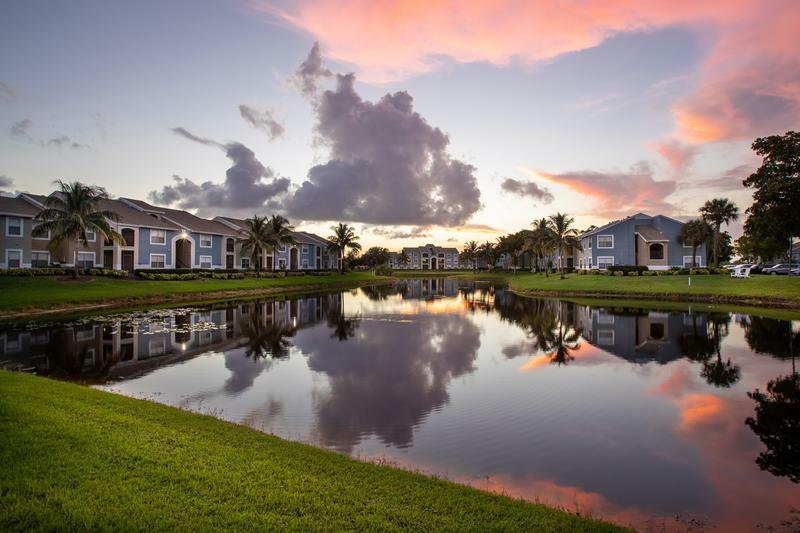 Imagine living the tropical lifestyle in Boynton Beach, Florida. Part of the Palm Beach County, Boynton Beach has eight recreational centers and twenty-nine parks, including Betty Thomas Park, Meadows Park and Pioneer Canal Park. With plenty of shopping and lively entertainment every week, you’ll soon discover that you’ll never have to leave the city of Boynton Beach to meet all your needs. The city of Boynton Beach is known for its diverse art and culture. With 81 public art projects on display and growing, the city is known as the world destination for public art. Enjoy a night out with one of the free monthly music events or get your dancing shoes on and take a dance class. If you’re looking for a new hobby, visit the Tennis Center at Barrier Free Park to take lessons or head to Links Golf Course to tee off. For the kids, you can always take a visit to the Schoolhouse Children’s Museum and Learning Center. There are so many ways to enjoy the great outdoors of Boynton Beach. If you’re craving a beach day, head to Oceanfront Park for some waves, sandcastles and fun in the sun. But don’t forget to finish up your day by one of the many ocean-front restaurants for dinner with a view. If a typical beach-day isn’t your style, the Boynton Harbor Marina has all the ocean sports you’re looking for, from fishing and scuba diving, to jet-ski rentals. The View at Water’s Edge is luxury living with the convenience of renting an apartment. Choose from one of our many floorplans, ranging from 565 to 1,064 square feet, with one or two bedrooms. All apartments feature central AC & heat, a full-size washer and dryer, and a screened-in patio or balcony. Our open concept kitchens feature modern, white cabinetry with granite-style countertops and stainless steel appliances. Our Boynton Beach apartments for rent have walk-in closets with built-in shelving, along with outdoor storage closets. Furnished apartments are available, as well as roommate floor plans. Bring your furry friend to The View at Water’s Edge and they’ll receive a warm welcome with pet events and an off-leash dog park with agility obstacles. Large breeds are accepted and we can’t wait to see them run around the park! For human residents, we have a 24/7 fitness center and resort-style pool with a large, expansive sundeck. Take a loop around the lake with our complimentary kayak rentals or take a walk on one of our trails. With a picnic and grilling area, a volleyball court and putting green, you’re sure to love your new home. Take a tour today!